Everyone wants an efficient AC unit. Everyone wants cool air without having to pay too much for it. You may have an Energy Star certified model, but is it really saving you all that much money? Do you know how energy efficient your unit is, though? Here are some ways that you can measure the efficiency of the unit you use and decide if you need a new one for your home. Many will look towards checking the label to find out how efficient a unit is and how much it can save them. However, these are just general ideas. The unit might work the best in a small room and not the size house you have or it might just not be properly placed. There are many ways that this is not the most ideal number to go with when the time comes. To find out if the AC unit inside the home is working to the best of its ability, you should try this test out. Make sure the unit has been running for 15 minutes or more. The outdoor temperature must be above 80 degrees F. Make sure the AC unit’s filter is clean and that is properly maintained with no leaks. Set a thermometer up on the supply register closest to the coolant. Keep it there for five minutes and then read the temperature that’s shown. You then want to check the temperature using the same method on the return vent. The air coming out of the unit should be between 15-20 degrees cooler than the air that is going into the unit. Those units that are not cooling in between these ranges might be low on refrigerant or have leaks throughout the system. If you’re cooling more than 20 degrees, then it might have a blockage in one of the coolant lines. 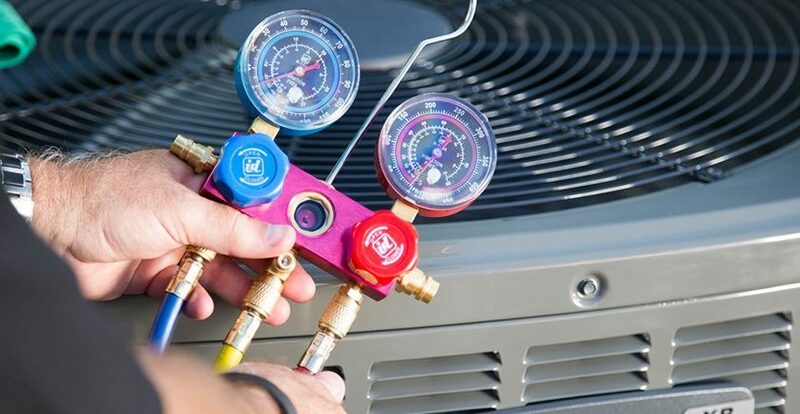 Your air conditioning specialist who has been trained for refrigeration and quality standards in HVAC will be able to let you know precisely where your unit stands when it comes to cooling efficiently. If your home still feels too warm to you, but you’re paying a decent amount on the energy bill, then the unit might not be running the way it should. It is important that you check with a professional regarding maintenance, repair or replacement of a new unit. This can help you save some cash, while also ensuring that your home is comfortable. Never worry about sitting inside a hot room when the AC is blowing, but not doing the job it should be doing. There are various reasons for something like this to happen, but the first thing you should do when it is noticed is to speak with a qualified AC professional regarding the work that can be done to the unit. After that, you can feel much more confident about moving forward. Call a professional today to have a free AC consultation. They can then let you know more about the options you have or any issues you might be facing with the current unit that is inside your home.